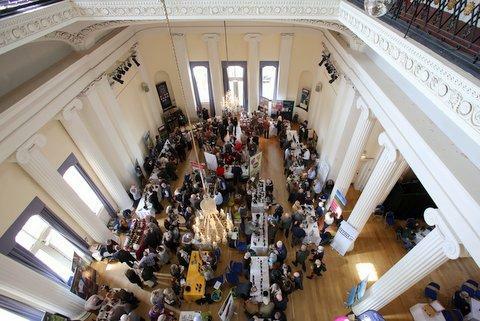 The Annual Wine Festival is held in Pittville Pump Rooms Cheltenham in April. The Cheltenham Wine Festival is organised annually by the Rotarians of Cheltenham North with proceeds going to Rotary supported Charities. In April 2019 the fourth wine festival was held in the Regency surroundings of the Pittville Pump Rooms where over 400 enthusiastic wine lovers celebrated and raised a glass to the wonderful world of wine. Ticket holders enjoyed a un-miss able fine wine experience as they travelled by taste, discovering and savouring samples from over 300 wines from some of the best wine regions in 20 countries. The wine experts exhibiting at the festival were on hand to guide those attending as they tasted an exciting range of wine styles and grape varieties giving them an opportunity to learn about the people and places behind them.